Having a high credit score gives you so many options. You can get the credit cards with the highest rewards, and you can get the absolute lowest rates on any loans you use. If you apply for a mortgage without an exceptional credit score, you’re leaving so much money on the table. It can even increase your chances of getting a job or getting into a nice rental, since employers and landlords often check it. It’s the financial industry’s best estimate of how responsible you are, and it can carry over to other realms outside of just finance. I’ve had an 800+ credit score since I was 22, and manage the corporate credit line of an engineering facility, which requires me to maintain very high credit. My current FICO score is actually perfect at 850. This article gives an overview of how to improve your credit score fast and reliably, including the 4 biggest-impact tips you can implement this week. There are several different ways to calculate a credit score and a bunch of companies that do it a bit differently, and each method has various pros and cons. Each method also has a range, with the main ones having a 300-850 range. 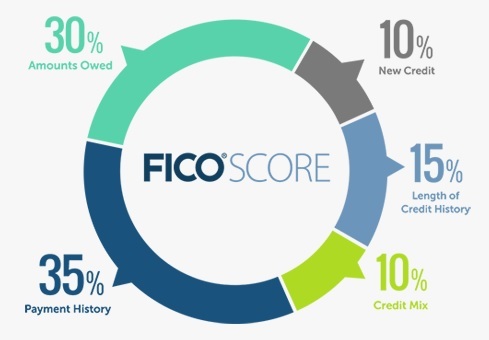 The chart above shows the default way that the general FICO score is calculated, by the FICO company. Generally speaking, having over 750 puts you in the very top bracket, where you’ll get access to the best credit cards and the best loan terms, and will have no problems when employers or landlords check your credit. If you can go further, t0 800+, then you’re comfortably in the top tier and roughly at the maximum end of the range. This is the single biggest factor: how reliably you pay your bills. By never, ever missing a payment over the course of years, your credit score will start to climb. This can actually be kind of forgiving. Even if a payment is a few days late by mistake, most companies have a grace period where they won’t report you to the credit agencies. You generally have to be quite late in order for it to officially become a late payment. It’s best not to take chances though; pay all your bills every month like clockwork. Automate your payments if it helps you. I personally like to sit down in the third week of each month and check every one of my accounts to pay them and keep everything tidy. It takes about ten minutes. Creditors like to see that you’re not using anywhere near the maximum amount of credit available to you. If you have 2 credit cards, each with a $5k limit, and each of them is filled to $4.9k, then it looks to them like you’re being irresponsible. Just like how some people’s expenses reliably expand to equal their income, this example looks like someone who naturally tends to borrow as much money as they can. That makes them look risky. Instead, it’s best to have very high credit limits, and then use only a small fraction of them. A rule of thumb is to use less than 10% of your total credit limit, and to not use more than 10% of any individual credit account. You can optimize this by adjusting both variables; you can spend less, and you can open new credit accounts or ask for increases on your existing credit limits in order to minimize your credit utilization ratio each month. You can also spread your purchases across multiple cards so that you never use a large portion of any card at once. If someone opened their first credit account 6 months ago and has paid 100% of their bills on time, that looks pretty good. It’s a nice start. But it doesn’t look anywhere near as good as someone who has had several credit cards for 10+ years who has never missed a payment on any of them, and has never missed student loan, mortgage, auto loan, or utility bills. Some of this obviously just has to come with time, but your actions can influence it as well. Suppose in one example, you open up your first credit card account today, and open up another credit card account 5 years from now. Ten years from now, one of your accounts will be 10 years old, and the other will be 5 years old, so the average age of your credit history will be 7.5 years. Now, suppose that you open up a card account today, and then open up a new card account every two years. At the ten year mark, you’ll have 6 credit accounts that are 0, 2, 4, 6, 8, and 10 years old. The average age will only be 5 years. It’s generally better to have fewer, older accounts, rather than having a clutter of many newer accounts. Also, it’s almost never a good idea to close an old account. Those old accounts are your “anchors” that you should try to keep forever, because they dramatically increase your overall length of credit history. There are two main types of credit: “revolving” credit and “installment” credit. Ideally, you want at least one of each, because it shows creditors that you can handle multiple types of loans. Credit cards are the main type of revolving credit. If you have at least one credit card, then you have some revolving credit. It’s “revolving” because there is no end-date; you can just tap into it as much or little as you want each month, and pay it off regularly. Student loans, auto loans, and mortgages are examples of installment credit. They have a natural end-date, and they expect regular payments each month of the same amount. I have a co-worker with a high credit score that got rejected for an auto-loan. The credit score is important, but it’s not the only factor lenders look at. In her case, her parents paid her way through college so she never had student loans, and didn’t yet have any sort of mortgage or auto loan. All she had in her credit history was good credit card usage. The lender was not confident enough to give her a big auto loan despite the fact that she handled her credit cards well, because there just wasn’t enough information there for them to feel comfortable. If you open up a bunch of new cards or loans at once, it looks risky. Lenders will wonder if maybe you lost your job, and you need to stay afloat with credit in the meantime. Or maybe you had a big medical bill and are becoming insolvent. Be conservative with the number of times you apply for new credit. VantageScore is a newer competing model, created through a joint venture by Experian, TransUnion, and Equifax. 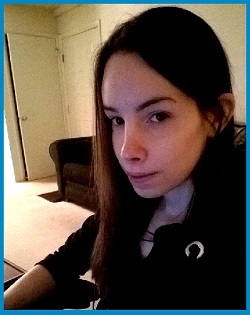 You can see yours for free at Credit Sesame ; I’ve had an account there for 9 years. Previous versions 1.0 and 2.0 of VantageScore used a different range, but the current versions 3.0 and 4.0 also use the 300-850 scoring range. It’s clear that although calculations may vary a bit, the same key factors apply for maximizing your various credit scores: have a long, reliable, and diverse credit history, and keep a low credit utilization ratio. By the time I was a senior in college, my credit score was already effectively in the top range, at 800+, and I’ve kept it there ever since. Became an authorized user on my father’s card when I was a teenager. Acquired my own low-limit card when I was 18, and never missed any payments. Never carried any credit card debt between months, and never had a high credit utilization ratio. Took out student loans, and paid them back consistently on time. Opened a couple premium credit card accounts, with great rewards. Never closed any credit card accounts, because they increase my average credit account age. Avoided opening too many new accounts, because they would reduce my average credit account age. Increased my credit card limits as appropriate. My credit utilization ratio is less than 2%. Monitor my score monthly on Credit Sesame to see areas of improvement. Check my credit reports regularly and ensure there are no errors. Naturally, if you’re reading this, you’re at a different starting point than me, and have your own unique circumstances. A lot of the things here just take time; having a strong payment history and increasing the average age of your accounts can take a few years. You need to spend less money than you make, so that you can pay down any high-interest debts you might have, and build some cash reserves so that you always have plenty of cash to pay all your bills going forward. The three credit reporting agencies, active in many countries, are Experian, Equifax, and TransUnion. They’re the companies that keep detailed records of your credit and make it available to people that request it. Thanks to the Fair and Accurate Credit Transactions Act, all three companies are required to provide U.S. residents with a copy of their credit report if requested, once per 12 months. They do so through the website AnnualCreditReport.com; that’s the only source for free credit reports authorized by this Act. They don’t show you the scores for free, but they show you their records of your payment history, so you can check to make sure there are no mistakes. The website lets you check your detailed report one time from each of the three credit rating agencies per year. If you’re planning on making a big purchase, or if you are fixing severely bad credit or found some mistakes in one report, then you might want to check all three at once. On the other hand, if you’re more in “maintenance mode” and just want to check your credit regularly for errors, then the optimal strategy is to check your report from one of the agencies every 4 months. That way, you can spread your three free reports out evenly over the year for the most up-to-date info. Discover Financial lets you check your FICO score for free, here. Credit Sesame lets you check your VantageScore for free, here . The great thing about them is they analyze your credit usage to show you specific things you can do to increase your score. It’s hard to fix your credit if there are negative mistakes in your credit report holding you back. Make sure they’re accurate! If you already have one or more credit cards, this could be the biggest move to make if you want to get to 800+. It’s the second most important factor that affects your credit score, since it accounts for about 30% of your score. You can change it quickly, and it has a major impact if you get it right. Ideally, you want a credit utilization ratio of below 10%. First, if you carry a credit card balance from month to month, pay that off asap. The interest rates are horrendous and it’s negatively impacting your credit utilization ratio. Second, if you have two cards that each have, say, a $7,500 credit limit, and you have $6,000 in debt on one card (80% utilization) and only $1,000 in debt on the other card (13% utilization), then try to balance them out. Pay down the higher debt one first, so that none of your individual cards have a very high credit utilization ratio. Third, even if you do pay off your credit card balance each month, your payment timing might be unfairly hurting you. Credit card issuers usually report your credit information to the credit rating agencies once per month, around the end of your billing cycle. But what if you just paid for a major $3,500 car repair on your $5,000 limit card right before they report your credit utilization? They’ll say you have a 70% credit utilization ratio, which is bad, even though you always pay your card off every month. Pay your cards off 2-3 times per month instead of once per month to keep your balance low at any one time. If you make a major purchase, pay the card off right away to get your credit utilization ratio back down. If your credit score is already decent and you’re looking to make it exceptional, then ask your card issuers to increase your credit limits on your cards. For any given level of spending, a higher credit limit will mean that you have a lower credit utilization ratio. Alternatively, you can open one more credit card account (don’t go overboard), so that you can split purchases more evenly and keep a low credit utilization ratio. If your credit score is very low or nonexistent, and you don’t have any credit cards, then consider getting a secured credit card. A secured credit card is a low-limit card that a bank can issue to you, that requires you to pay them a security deposit up front. That way, their risk is low and they can afford to give a small credit line to people with low or no credit. Many of the major issuers, like Discover and Capital one, have good offers on secured cards. Typically, the credit limits are tiny, like $200 or less. Pretty much the only reason secured credit cards exist is to help people build credit. Start making some purchases with the card, and pay it back in full every month. Over time, you’ll start building a positive credit history. Make sure your other payment types (utility bills, student loans, mortgage, auto loans, etc) are paid on time as well. Eventually, when your credit score is higher (and you have good credit card habits), ask your issuing bank to convert your account to a normal, unsecured card. This way, you can get a higher limit, get better rewards, and get your security deposit back. Whatever you do, don’t close your secured card, unless for some reason you absolutely can’t handle having credit. You want to start building a long-lasting credit account, because average credit age is a big factor for your credit score. So, once your score is up, convert it to a better card. The diversity of your credit mix accounts for about 10% of your credit score. 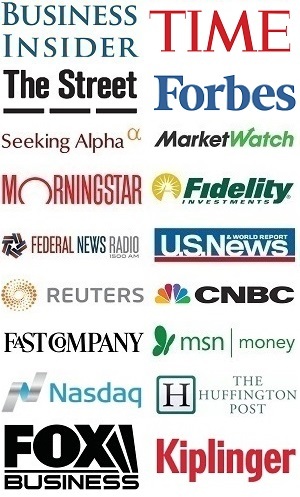 It shows the credit rating agencies that you can responsibly manage several types of debt. Don’t take out debt you don’t need, because it results in unnecessary interest payments. However, you can be strategic with your debt. For example, if you have credit card debt and your credit score is decent, then taking out a peer-to-peer loan, like with Lending Club, can help you pay off your higher interest rate credit card debt and diversify your credit mix at the same time. Or, let’s say you just have student loans, and you need to get a car. Taking out a small auto loan to finance part of it, and paying down some of your student loans quicker with the cash you save up front, means your credit is more diverse. Your race, gender, sexual orientation, nationality, marital status, etc. What type of job or education you have. Your age, except how it may impact the average age of your credit accounts. Your income, except how it may affect your credit utilization ratio. Check out more myths here. My father had a low income, no college degree, and lived in a trailer park, but literally had a FICO credit score of 848. He paid every single bill on time, without exception. The average age of his credit cards was 20+ years; he never opened new accounts or closed old accounts. He kept his credit utilization ratio low. He had a diverse credit mix, including credit cards, low interest auto loans, and other types of well-managed debt. In other words, he optimized every area of the credit score calculation without doing it on purpose. 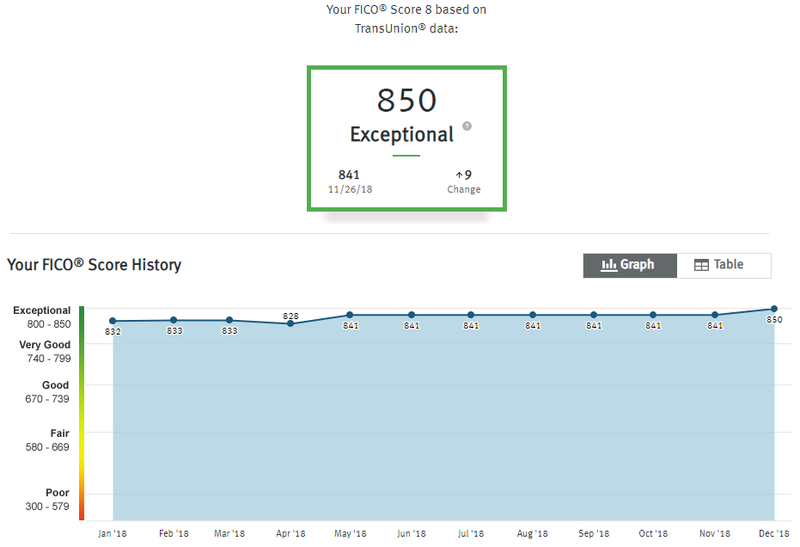 By having the right information and having good credit habits, you improve your score to the exceptional 800+ level. The importance of having a high credit score cannot be overstated. It lets you have the highest reward credit cards, ensures you won’t have trouble when applying for a job or apartment, and lets you borrow money at the lowest possible interest rates. It’s hard to fully escape the effects of having a low or mediocre score, and you might not even be aware of who is looking up your credit history to use against you, or in your favor. It’s based on obvious things, like paying your bills reliably. 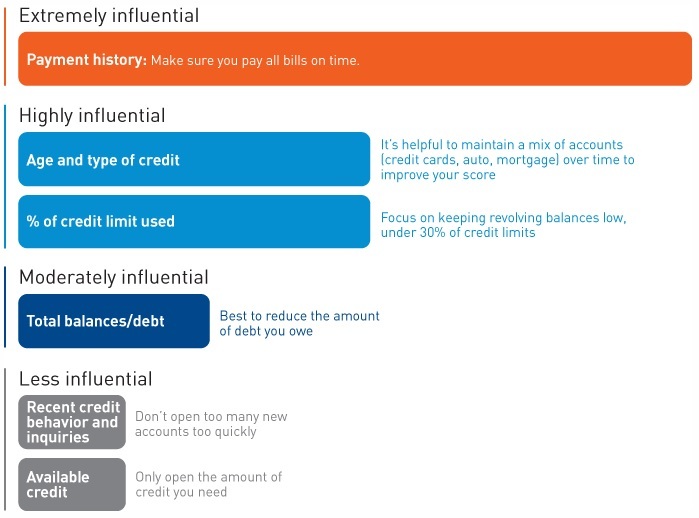 But the smaller and less intuitive things, like maintaining a really low credit utilization ratio, increasing the age of your credit accounts, diversifying your credit to both installment loans and revolving accounts, and checking your credit history regularly for errors, are the extra steps to take to truly maximize your credit score to the highest possible tier, over 800.